Gov. 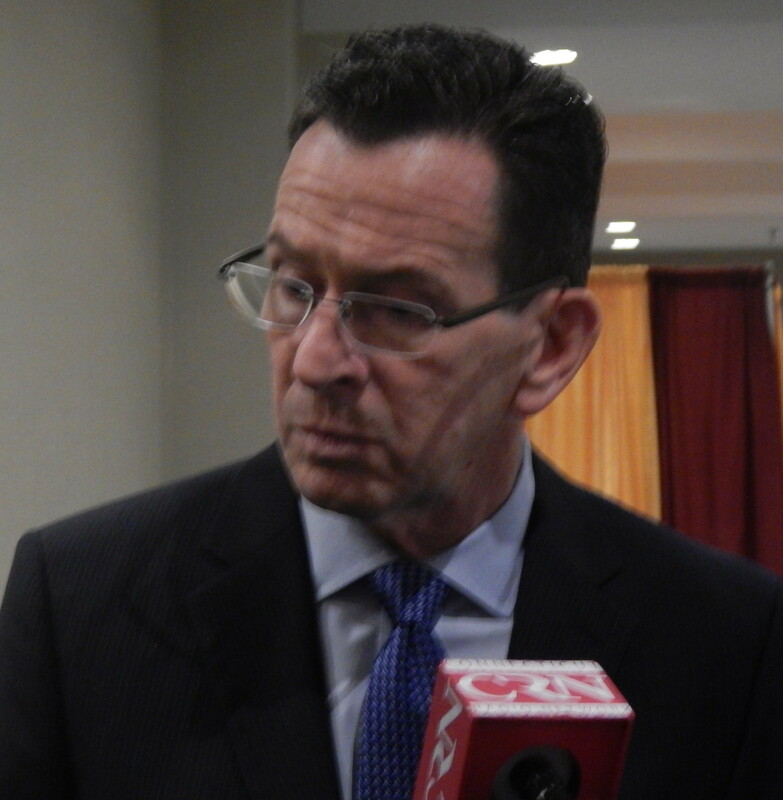 Dannel P. Malloy unveiled more than $31.5 million in spending cuts Friday in his second round of emergency budget reductions, with social services, public colleges and universities and the state court system again taking the heaviest hits. The administration’s chief budget agency, the Office of Policy and Management, technically ordered $24.6 million in cuts to 29 agencies and higher education units. The governor, who has limited authority to unilaterally order cuts, also requested $7 million in further reductions from the judicial and legislative branches, as well as from the state’s watchdog agencies – all of which are exempt from the budgetary rescission statute. The Malloy administration reported a nearly $121 million deficit earlier this week. And although that represents less than 1 percent of this year’s general fund – which covers the bulk of the state’s operating costs – much of the overall spending is fixed by contracts or other obligations and cannot be reduced quickly. State law requires the governor to submit a more detailed, deficit-mitigation plan to the legislature whenever the comptroller certifies a deficit in excess of 1 percent. In this year’s budget, that would involve a shortfall topping $175 million. Leaders of the Republican minority in the House and Senate have charged the Democratic governor with acknowledging the red ink in this year’s budget in piecemeal fashion in hopes of avoiding being mandated to craft a formal deficit reduction plan. Malloy, who won re-election to a second term in November, spent much of last fall insisting state finances were stable. It wasn’t immediately clear Friday how much of the overall budget deficit would be eliminated by the latest cuts. That’s because every state budget is balanced, in part, on “lapses” – assumed savings targets that agencies are expected to achieve throughout the fiscal year. And rescission orders sometimes cancel spending that agencies already had planned to suspend to achieve savings targets. In those instances, the governor rescinds spending that already effectively has been cut, saving the state nothing. But even if all of Friday’s cuts are applied to the deficit, a shortfall of about $90 million still remains to be solved. Almost $11 million was taken Friday from various social service agencies. The largest cut was aimed at the Department of Developmental Services, which lost $8.4 million. And more than half those funds came from employment and other support programs for people with disabilities, or from voluntary services. Connecticut’s public colleges and universities – a frequent target of governors’ emergency cuts in the past because of the large operating grants they receive in the state budget – sustained a $6.2 million cut on Friday. And that’s after losing $6.5 million during the first round of emergency cuts Malloy ordered in mid-November. It was not immediately clear Friday how the public colleges and universities would adjust their budgets to compensate for the reduced state aid. Both rounds of reductions affect the University of Connecticut, the UConn Health Center in Farmington, as well as the state universities and community colleges. All of the state’s higher education units sustained major cuts in state assistance in 2011, as Malloy and legislators grappled with a record-setting, $3.7 billion budget deficit. State aid only recently returned to pre-2011 levels. Earlier this week, a UConn spokeswoman confirmed that 15 employees had received layoff notices, but insisted it was part of a reorganization and not an effort to shave costs. “Having just received the figures, UConn will now be examining its options and working to determine the most appropriate ways to address the rescissions,” UConn spokeswoman Stephanie Reitz said. The Board of Regents for Higher Education, which oversees the 12 community colleges and four state universities, was hit with a $2.5 million cut on Friday. The judicial branch, which agreed in mid-November – at Malloy’s request – to forfeit $6 million of its funding, was asked Friday for another $6 million. The branch had no comment late Friday.